When Manuel was a baby, doctors discovered problems with his vision. Sadly the efforts to improve his sight were unsuccessful and when he started attending the Stand by Me Centro Educativo Cristiano School in Colombia he could only read by holding the materials very close to his face. It was a concern that his eyesight would never improve. Despite his difficulties, Manuel did not stop trying hard at school and playing his favourite sport, football. Manuel loves to write letters to his sponsors. He would spend a long time writing the letters, holding the paper close to his face, but when he finished he would always be proud and smiling. 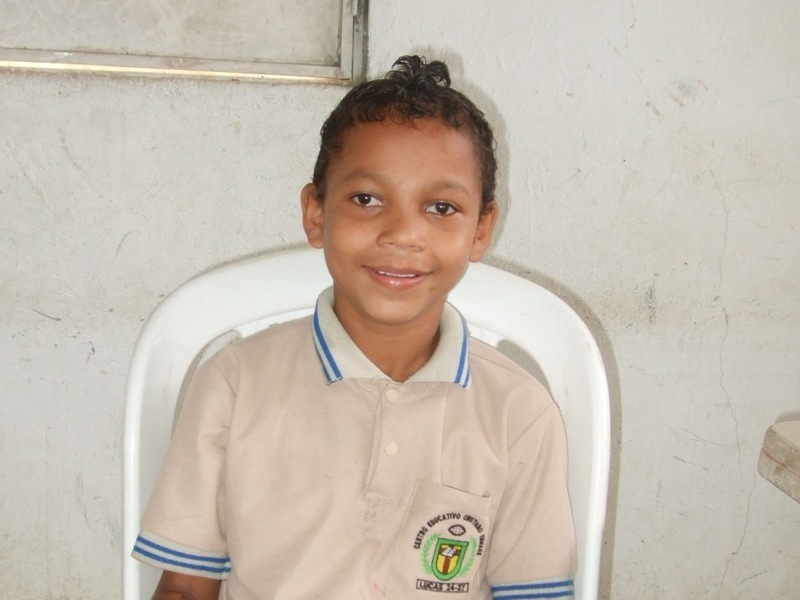 The doctors found that the problem with Manuel’s eyesight is due to cataracts in both his eyes. Thankfully they were able to give him an operation on his left eye and his sight is now restored in this eye. The operation has made a great difference for Manuel’s learning as now he can see the school board clearly from sitting in his chair in the classroom. Manuel will soon be able to have the same procedure for his right eye and we are thanking God that his eyesight will soon be recovered. It will now be much easier for Manuel to write to his sponsors and for him to read the encouraging letters they send. To sponsor a child like Manuel visit our child sponsorship page.